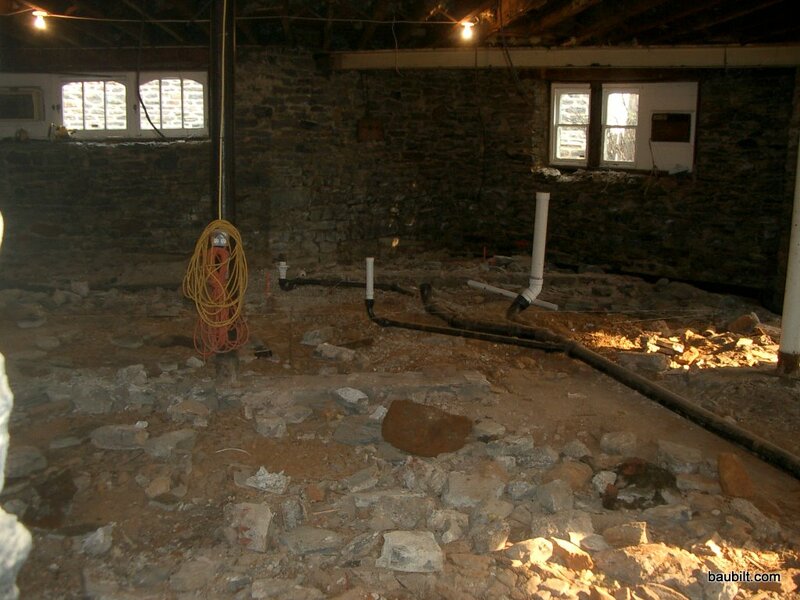 After the demo and getting the columns out of the way, we were ready to prep for the slab. Much of the prep involves the plumber, as he has to put in both the waste lines and the hydronic heating tubes before the slab is poured. 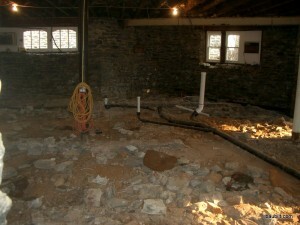 Here you can see the waste lines for the boys' bathroom in place on the raw grade.